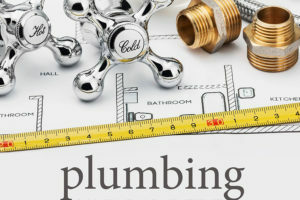 Contact Plumbing Central, a Preferred Atlanta Plumber, Today! If you need to schedule plumbing work, or if you have a plumbing emergency for your industrial, institutional or commercial building, or for your home or rental property, contact Plumbing Central today to discuss the project. We have been proudly providing plumbing installation and repair services in the Atlanta area for years, and have built our business on our dedication to our customers. We always offer free, no-obligation, clear and detailed estimates, and we promise to provide fast, professional, reliable services at affordable prices. And, with plumbing services available 24 hours/day, 7 days/week, we promise to do everything we can to minimize down time for your business or family. To learn more about the services Plumbing Central provides, and to find plumbing tips or get answers to frequently asked questions, we invite you to explore our website. Then, contact us online, email us at info@plumbingcentral.com, or call us at 770-205-6900 today, any time, day or night. At Plumbing Central we have the equipment and skills necessary to get your drain functioning normally again in Atlanta and surrounding areas. Your pipes will be free of debris and operating again smoothly. Tankless. This energy-efficient design only heats water when it is used. It needs less space but may require special venting, larger gas lines, or additional electric circuits that increase upfront costs. However, it may reduce water heating bills by as much as 30 percent in Atlanta. Our certified technicians provide guaranteed workmanship, quality installation, and competitive prices. We remove old water heaters for customers in Plumbing Central and install new ones the same or next day. Plumbing Central plumbers and technicians are thoroughly qualified to use innovative technologies and equipment to solve all of your drain and plumbing problems, including repair and replacement. 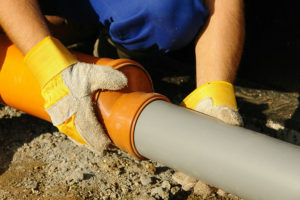 Our team will have your drains fully functioning quickly. As a full-service plumbing and drain company, we provide prompt, reliable, and guaranteed residential and commercial customer service. We work hard to make sure that we're there for you at any time of day or night, because we understand that sometimes plumbing emergencies happen at inconvenient times. 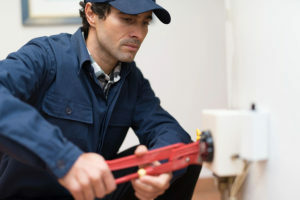 When they do occur, don't leave them unattended, as some issues can become much worse if they're not fixed immediately. 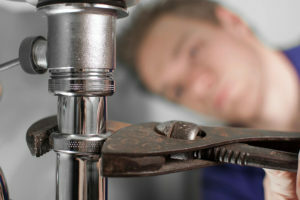 All of our plumbers are licensed, bonded, and insured. We're dedicated to providing high-quality work at an affordable price for you and your family. Because we're a smaller local company, we can afford to spend the time giving you the attention that you deserve: our customers are important to us, so we make sure that we take care of them. That includes responding promptly to calls, doing high quality work, and making sure that we charge reasonable and affordable fees. When we furnish you with a quote for services in the Atlanta area, we guarantee it. Our upfront pricing models means that the estimate you receive includes our service and repair fees, materials and any other labor needed to handle your plumbing emergency. We believe in an open communication policy and will discuss any new issues with you as they occur and answer any questions you many have during the process.